The Economist has recently written about the new exchange for Africa focusing mainly on Chinese expansion in sub-Saharan Africa. 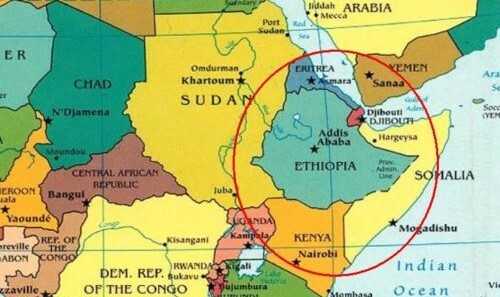 But there is another expansion that particularly affects the Horn of Africa, whose renewed strategic value is paradoxically due in large part to destabilizing phenomena such as terrorism, international piracy and insurgency, which push many to take actions aimed at safeguarding commercial interests , energetic and political-diplomatic from factors of growing insecurity. The current dynamics in the Horn of Africa reflect the spill over of the consolidated rivalry between the Saudi Arabian and Turkish-Qatari front, exacerbating pre-existing local and international divisions and raising the question of how much the states involved represent a stabilizing force in this piece of Africa. To border disputes not completely resolved (Ethiopia-Somalia and Sudan-Ethiopia), interethnic conflicts and rebel groups is added the nascent internal competition for energy resources between Somalia (the Puntland region has unexplored oil reserves), Ethiopia ( where the first extractions took place only a few months ago in the Ogaden region, also rich in gas fields), and Sudan, a traditional exporter of oil in the Horn. The OCHA ( United Nations Office for the Coordination of Humanitarian Affairs ) estimates that 27 million people are currently in a food emergency situation in the region; 11 million would be internally displaced, a part of which had to leave their homes due to the floods that hit the region during 2018, and 4.5 million refugees. According to IOM, only in 2018 would have been 400,000 migrants from Eritrea, Somalia and Djibouti to Europe. The multi-level game sees Saudi Arabia and the Emirates aiming to contain Iran, and Qatar with Turkey will fight the Saudi influence and the emiratin with all its strength. This need has become urgent since June 2017, when rivalries on the Arabian peninsula reached their climax when Saudi Arabia, Egypt, the United Arab Emirates and Bahrain interrupted diplomatic and commercial relations with the Qatar by imposing an embargo on the country, which in January last year also withdrew from the Organization of Petroleum Exporting Countries. Since the outbreak of the crisis, both factions have intensified their relations with East African countries by attempting to forge alliances with their African governments through economic partnerships and military agreements. For example, Saudi Arabia and the United Arab Emirates have contributed to the normalization of relations between Eritrea and Ethiopia (the peace agreement was signed in September in Jeddah), to promote dialogue between Eritrea and Djibouti regarding the age-old question of Dumeira, and also to lighten the tensions between Ethiopia and Egypt for the construction of the "Ethiopian Renaissance" dam, while they created a real proxy war in Somalia, where intra-Arab tensions between the Arab Emirates and Qatar rekindled the spirits among Mogadishu and some federal governments including the self-declared state of Somaliland. The regional distension in the Horn creates unprecedented opportunities for external actors that the Gulf countries - but not only - do not want to miss: from development aid, the need for infrastructure and financial support, the market is not lacking. New opportunities also emerge from the underground market. As a recent report by EXX Africa notes , the normalization of relations between Eritrea and Ethiopia could have as a side effect a reorientation of the routes of illicit arms trafficking between the Arabian peninsula and the Horn of Africa, where the activities related to this traffic would be on the rise in Djibouti, whose government supports armed groups in northern Somalia. Military material destined for forces not aligned with the central government and coming from the Emirates had been found in Somalia by the United Nations group of experts already in 2015. Specifically, the division of influence takes place through the installation of permanent military bases and the creation of port logistics hubs along the entire Red Sea coast. There are as many as 8 countries that currently have a military base or installation in the Horn of Africa: France, the United States, Japan, Italy, the United Arab Emirates, China, Turkey and Qatar. As Giuseppe Dentice of ISPI notes, Saudi Arabia is consolidating its presence through maritime infrastructures "that aim at building a strategy aimed at retaining allies through financially advantageous partnerships and agreements". The pieces of this strategy are clear. In 2016 the kingdom had repossessed the islands of Sanafir and Tiran, whose control offers access to the ports of Eilat in Israel and of Aqaba in Jordan, and therefore full access to the Red Sea. The NEOM civil-type infrastructure project, launched at the end of 2017, provides for the creation of a highly technological futuristic city and the first free zone in the world that should arise between Saudi Arabia, Egypt and Jordan and aims to establish the area as a global hub linking Asia, Europe and Africa. 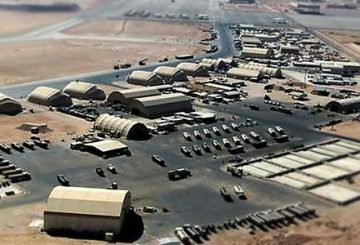 The Saudi kingdom is currently in talks for the construction of a base in Djibouti, a country that already hosts military installations from as many as five countries, including an Italian one, inaugurated in 2013. Motivated above all by the need to contain Iran and counter the influence of Qatar, in the Horn of Africa Saudi Arabia has invested particularly in the agricultural and manufacturing sector. 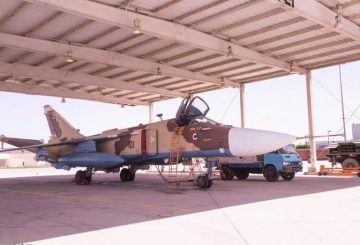 Furthermore, the Saudi armed forces are already present in Assab in Eritrea, where in 2016 a military base was built to support the war effort in Yemen. 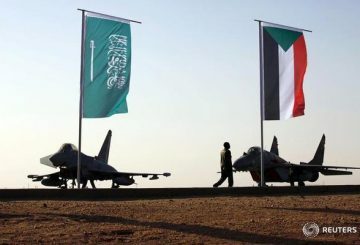 And it is precisely the United Arab Emirates that have become the major protagonists in the African sub-region, considered "the western side of its security front". In Somaliland they are building a naval base that will open by June, which has caused the hassles of Mogadishu. 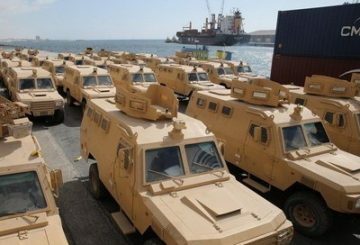 The Emirates have been present militarily in both Assab and Berbera since 2015 and have provided significant assistance to Puntland's maritime police forces to combat piracy and Islamist groups. In Jubbaland they are discussing the development of the port of Kismayo, while in Somaliland the Emirates are also planning to train the coast guard. 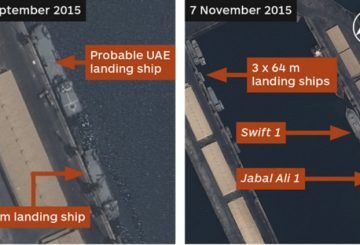 The strategy implemented by the Emirates is to "fill the available space before others do", as reported by the International Crisis Group. This also happens through the construction or modernization of infrastructures, in particular energy: for some months the Emirates have been building an oil pipeline that would connect the port of Assab with Addis Ababa in Ethiopia. At the end of December 2018, Saudi Arabia said it had reached an agreement for the creation of a cooperation body with six countries in the Red Sea and the Gulf of Aden, which would include Egypt, Djibouti, Somalia, Sudan, Yemen and Jordan. A sort of Red Sea forum "for peace and security" which would first of all guarantee the safety of trade routes but would also respond to all the most pressing issues both at regional and international level: migration, food security, Islamic extremism, internal conflicts. This first attempt to link some of the states of the Horn into a framework of formal cooperation is apparently intended to place the states of the Horn of Africa on an equal footing in taking key decisions at the macro-regional level. In the absence of a process of African regional integration, the Gulf states certainly have no interest in favoring - if not to a lesser extent, as in the energy sector and for instrumental reasons - the body risks being born as a hybrid entity of which only the Saudi kingdom together with its faithful Emirates has the power to control the agenda. The division of influence takes place through well-established but not crystallized relationships. 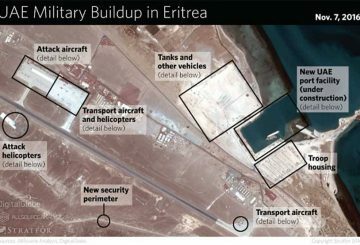 Eritrea is deployed without hesitation with the Saudi front. Ethiopia instead follows a policy of equidistance between the two opposing axes, but looks favorably on the policy of creating new port infrastructure in the Emirates to break the dependence on Djibouti. The equidistance was maintained for a while also by Somalia, but following the suspicions concerning the sympathy - later confirmed - of the central government towards Qatar and Turkey, in April last year Somalia and the United Arab Emirates ended the four years of military cooperation when Abu Dhabi stopped paying the salaries of the troops stationed in Mogadishu. At the end of 2018, however, according to Somali sources, the central government began to attenuate the opposition to the port and military projects of the Emirates in Somaliland and Puntland, giving way to moderate relaxation. 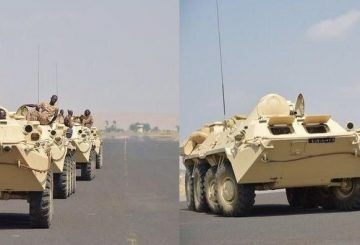 Sudan entered the Saudi orbit without resistance, so that over 10 thousand soldiers and 4 Mig (photo above) were deployed by Karthoum in Yemen in support of the Riad-led coalition. A choice that has caused considerable internal friction since Karthoum has historical ties with Iran and also with Qatar. 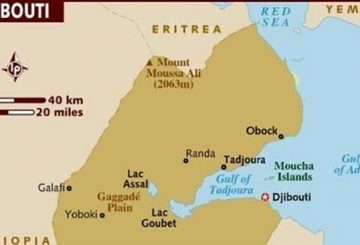 Djibouti as a strategic node par excellence is disputed by everyone, but the dispute is played mainly between Saudi Arabia and Qatar in particular since July last year, when the government of the small African state inaugurated what will become the largest free zone of the African continent. 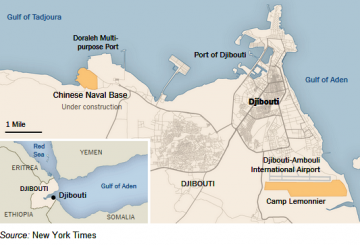 The project was funded by China, another increasingly aggressive actor in the Horn, which aims to place Djibouti on the Chinese maritime silk road. The Saudi Arabian and Emirate interventionism is counterbalanced by the Turkish-Qatari territory. Qatar has focused its attention on Sudan and Somalia, leaving the buffer zone between Djibouti and Eritrea that Doha maintained with 450 troops since 2010, acting as mediator of the dispute between the two African countries regarding the Dumeira region. Then there is Turkey, which last year managed to get rent from the port of Suakin, an island in the Red Sea between Sudan and Saudi Arabia. In November, Turkey and Sudan signed a military cooperation agreement . Turkey, like Qatar, also has conspicuous interests in Somalia. In addition to having helped the government to modernize the port of Mogadishu and to have contributed largely to the development of the country with infrastructure investments, it has the largest military base abroad, active since 2017, in the Somali capital. In Somaliland, it competes with the UAE presence . Anti-Israel sentiments are now almost everywhere a distant memory, thanks to the consolidation of the historical ties with Ethiopia and Eritrea, the increasingly active role in Sudan and south Sudan, and increasingly open relations with the Emirates Saudi Arabia and Qatar. 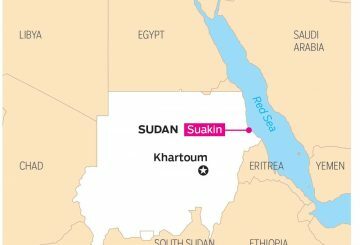 The military component is still present: sources unconfirmed in mid-January reported the deployment of hundreds of Egyptian troops in Eritrea near the border with Sudan, something that would have alarmed Karthoum until the military forces in the Kassala area were alerted to the border with Eritrea. Similar attempts by Cairo have also been made with Djibouti as a counterweight to the rival axis. Iran, for its part, is losing some of the influence it had previously gained in the Horn and in particular in Sudan and Eritrea, which have preferred to side with the Saudi giant in the offensive against the insurgents Houthi in 2015 and then enter under the protective umbrella of Riad. If Iranian influence remains confined to the Yemeni part of the Red Sea, Tehran still has some veto power over regional affairs, as shown by Iran's threats to close the Bab al-Mandeb straits between the Red Sea and the Indian Ocean and Hormuz following the imposition by the United States of new economic sanctions last November. Despite the pacification between Addis Ababa and Asmara, it is more competition between the Gulf countries than regional integration that characterizes the current geopolitics in the Horn of Africa region. The intra Arab rivalries force the governments of the Horn of Africa to choose between the two rival Gulf axes, adding an additional source of regional and intra-Islamic tension. Born in 1983, Master in International Relations and Research Doctorate in Transborder IUIES Policies, he gained significant experience in various organizations dealing with international protection of minorities, EU foreign policy and international security. 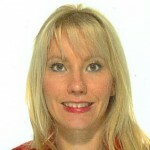 Assistant Professor of History of International Relations and International Politics at the University of Trieste, post-doctoral researcher at the Center for European Studies at the Swiss University of Friborg, and junior member at the European Neighborhood Policy Division for European Service the External Action. He currently works at the Small Arms Survey in Geneva as an Associate Researcher.